Ed Casey represents a variety of residential, retail and commercial developers in land use matters, including those arising under the California Environmental Quality Act (CEQA). His practice encompasses every facet of the entitlement process, from pre-acquisition due diligence to permitting, and he has successfully prosecuted and defended CEQA and other land use lawsuits for a number of major development projects. Ed was listed in the 2015 and 2016 editions of The Best Lawyers in America© and named a “2013 Top Rated Lawyer in Energy, Environmental, and Land Use Law” by The Recorder. 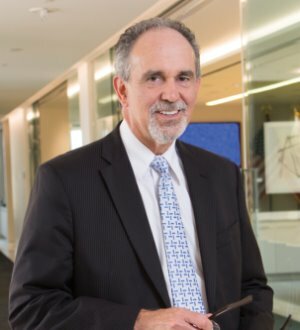 In 2012, Ed was featured in the Daily Journal as one of the “Top 100 Lawyers in California,” and in 2011, the Daily Journal named Ed one of California’s Top 25 Land-Use Leaders. Ed’s practice also focuses on water supply issues arising from development projects. He has represented private landowners and developers in connection with securing sufficient water supplies for their projects in accordance with recent water supply legislation. Ed is a member of the board of governors of the Los Angeles County Economic Development Corporation and chairs the Land Use Committee of the Los Angeles Chamber of Commerce. He received his J.D., with honors, from the University of Chicago in 1985.